We feature the UK's best online speed camera database, which is FREE to view. 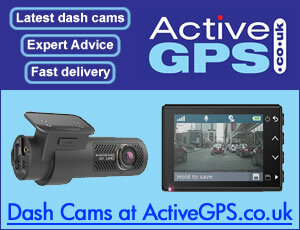 We also explain the safety camera types and help explain speeding fines. We very much welcome your views too. You can contact us via our website, via our Facebook or Google+ pages. There are also sat nav and speed camera detector reviews and a guide that helps explain detecting speed cameras using a sat nav, a dedicated speed camera detector or using an app. 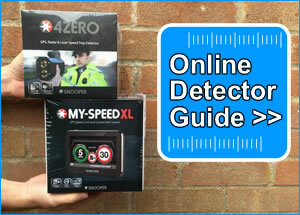 We also have an online shop selling speed camera detectors and a separate sat nav shop. HADECS 3 is the latest speed camera to be introduced on the UK's roads. HADECS 3 is being installed on sections of smart motorways in the UK. Redflex Hadecs3 speed cameras have so far been installed on the M25 in Kent between junctions 5 and 6/7. More HEDECS 3 locations are planned on a number of other motorways with smart motorway section in the UK, including the M1, M3 and M6. Read more about the new HEDECS 3 speed cameras here. Our speed camera database has been compiled with the help of UK motorists. Each location has been sent to us by a UK motorist and although we do not verify each location we allow you to 'update' the speed camera locations. 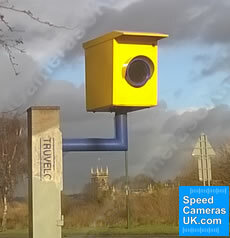 We features over 4,000 speed camera locations throughout the UK. If you want alerts in your vehicle to all speed cameras then we recommend buying a speed camera detector. Perhaps you have been caught speeding? Maybe you want to protect your licence? There are many reasons why you may want to buy a speed camera detector. We sell the complete the range of speed camera detectors and we explain the features of each speed trap detector and help you to choose the best speed camera detector for you. View speed camera detectors at www.ActiveGPS.co.uk or visit our SpeedCamerasUK.com online shop to read more about each detector. Other popular speed camera detectors that we sell include the Snooper MY-SPEED XL and Cheetah C550. The GPS based Cheetah C550 took the Auto Express Best Buy award for two years running in 2015 and 2016. If you want all-round protection and detect all speed cameras in use in the UK, we recommend the Snooper 4ZERO Elite BT as this system is the only speed camera detector to include GPS, radar and laser detection technology. We retail satellite navigation systems that you can add a speed camera databases to which can be viewed at our sat nav shop. We sell the complete range of Snooper Sat Navs which are available for cars (Syrius models), trucks (Truckmate models) and motorhomes (Ventura models). Snooper sat navs include Snooper S8110 Truckmate (for trucks) which is also available as a Ventura model fof when towing a caravan or in a motorhome.
. To view the complete range of Snooper Sat Navs click here. The Snooper DVR-5HD in-car camera features a 3.0-inch colour LCD display for instant playback of video at the scene of an incident.We also retail Garmin dash cams including the Garmin Dash Cam 35 and Garmin Dash Cam 35 are also available to buy from SpeedCamerasUK.com. Learn more. Been caught speeding and want to know more about speeding fines? Click here to read our Speeding Fines page. You may be able to contest your speeding offence and successfully defend your as using the services of a motoring solicitor. Travelling abroad or looking for UK car hire? We recommend the Flights Hotels Cars website for your travel needs.